Annette is the owner/manager of RE/MAX 3000 Ltd./Ltée and has worked in the real estate industry for over 30 years. In 1988 Annette began her career in Rocky Mountain House Alberta as a sales associate. 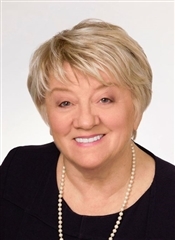 Returning to her native Neguac in 1996, she continued to enjoy a successful career in Miramichi’s real estate market and in May 2005, Annette launched her own company RE/MAX 3000 Ltd./Ltée. Annette is passionate about her work and is a firm believer in goal setting which she credits to her success. She has earned countless awards for outstanding achievement and has successfully completed numerous training courses. Annette mentors all of her sales people and believes in continuous learning by offering training sessions on a regular basis. She believes in giving back to the community and works hard to serve her many clients but when she does decide to relax and regroup she enjoys traveling, reading and meditation. Annette loves what she does and since she started working in the real estate industry she would tell you she hasn’t worked a day since. She often tells people who are trying to make a change in their lives to “follow their heart” because that is what she has done, and she couldn't be happier!